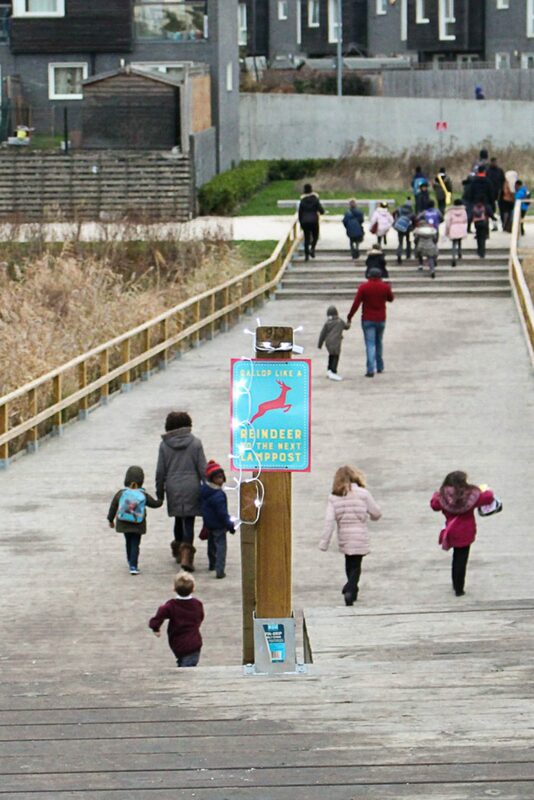 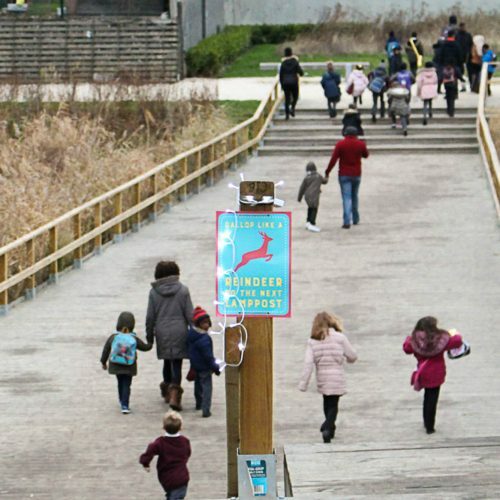 In March 2016, NHS England announced Barking Riverside as one of ten demonstrator Healthy New Towns. 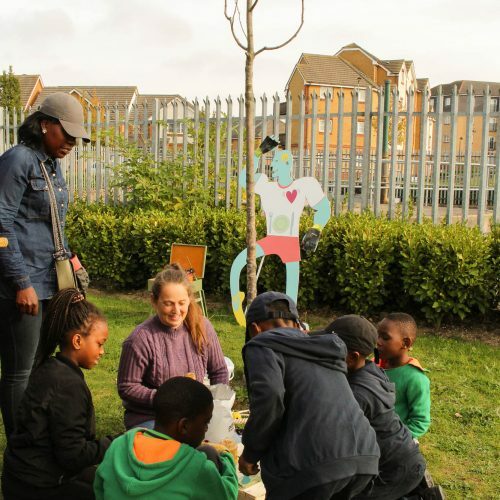 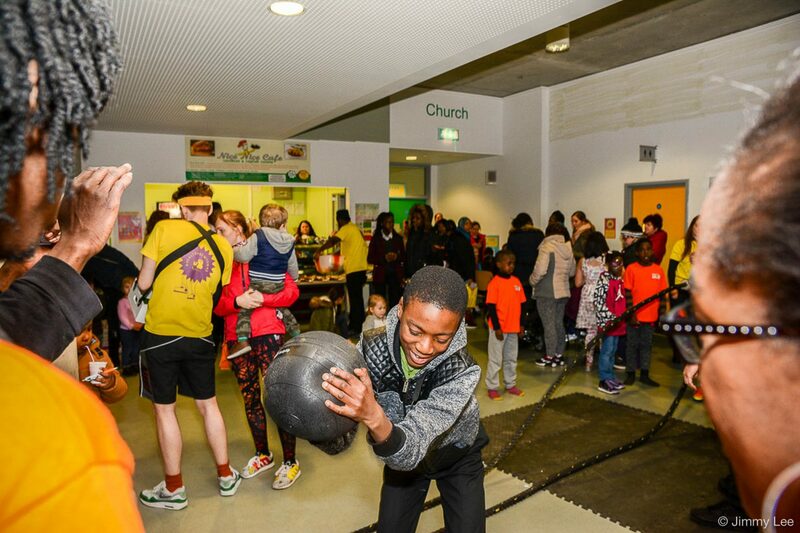 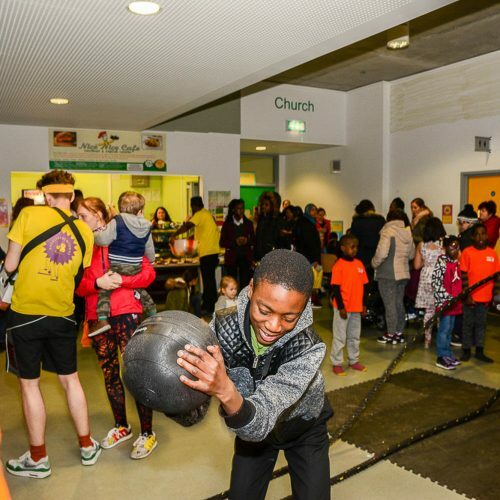 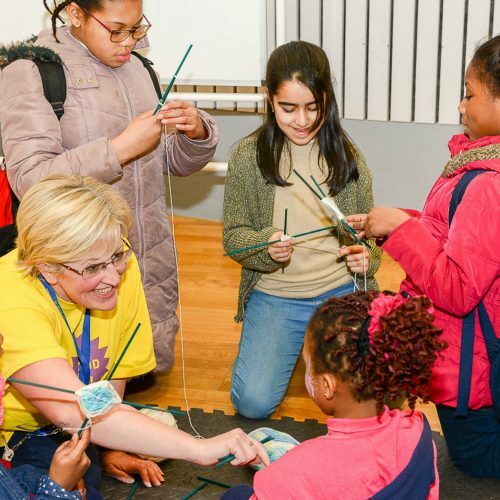 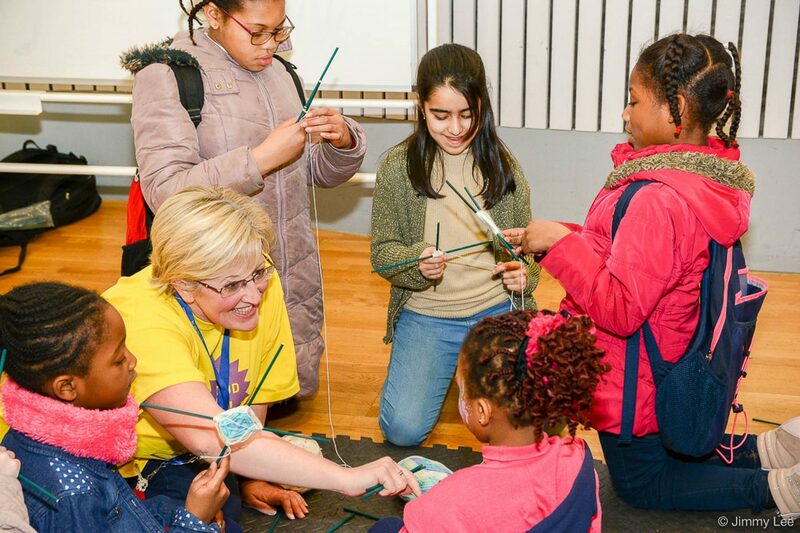 make:good and Studio 3 Arts were jointly commissioned by LBBD, Care City and NHS England to find out local health priorities in Barking Riverside, as part of the Healthy New Towns project. 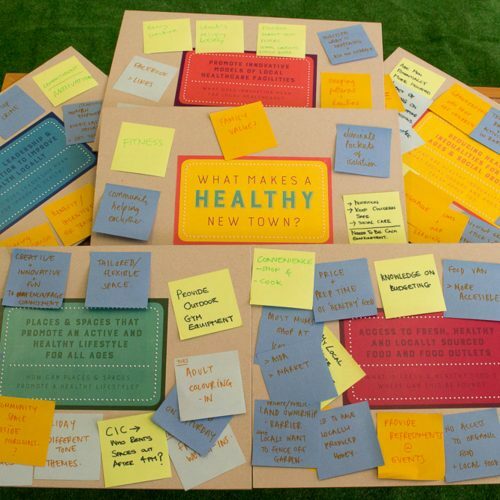 Working with existing community groups, leaders and individuals we gathered priorities, identified obstacles, and tested ideas surrounding health and wellbeing. 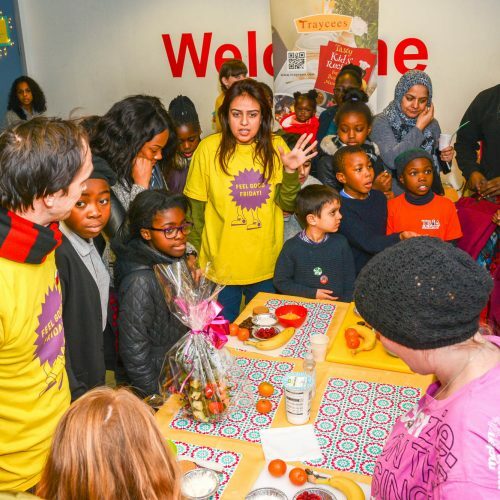 Over the course of 6 months and 12 events, we engaged more than 700 locals, gathering over 450 pieces of individual feedback and monitoring data from 100 people. 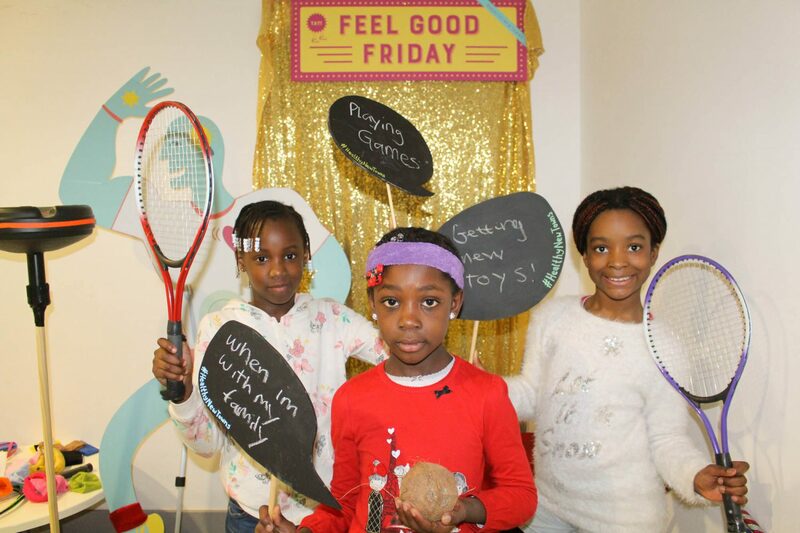 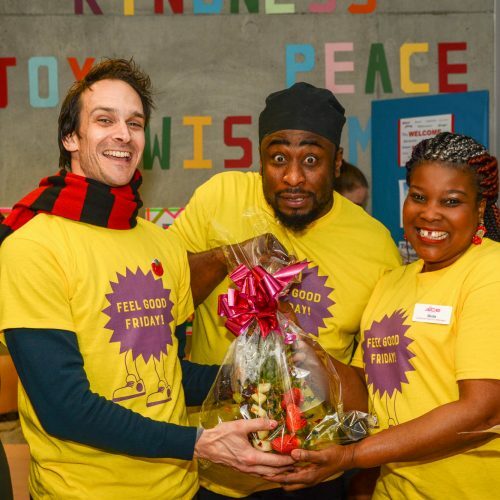 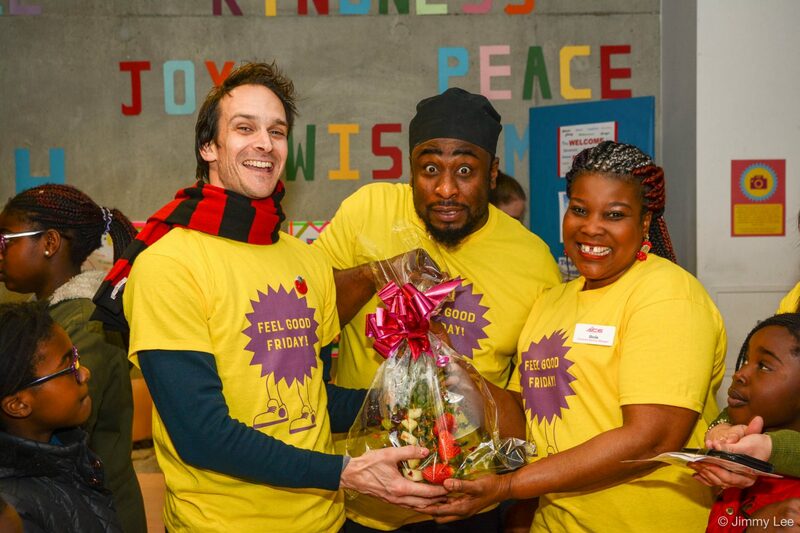 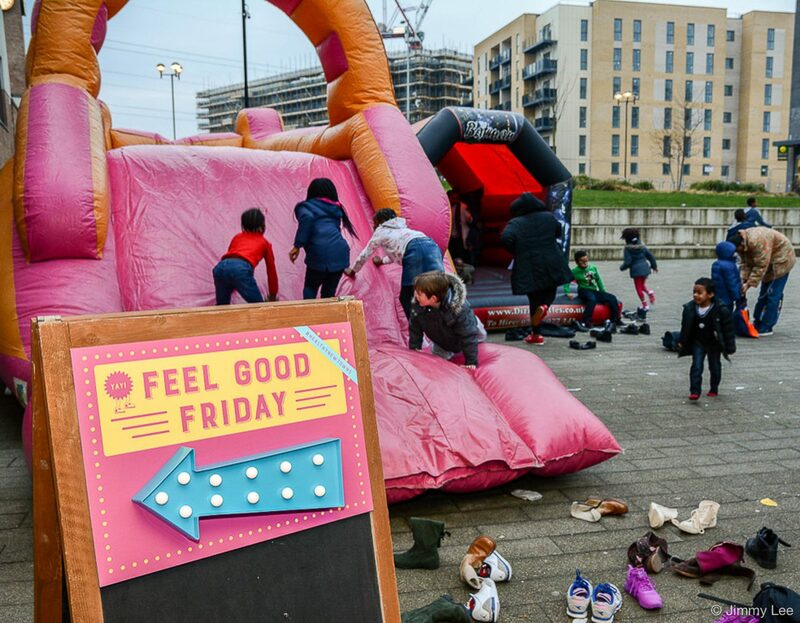 The project culminated in the extremely well attended ‘Feel Good Friday’, a celebration event which showcased established and aspiring local practitioners. 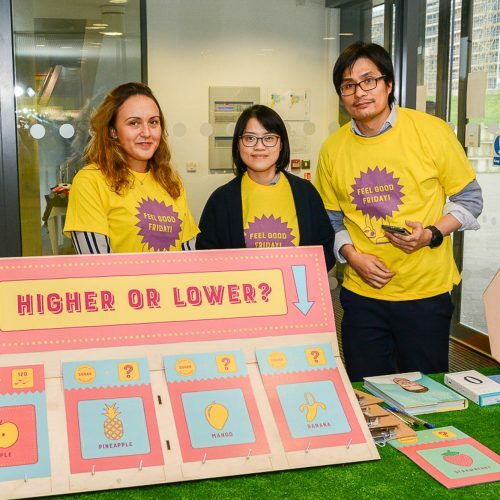 The event provided valuable insight and feedback, and built solid foundations for locally owned initiatives that the HNT project could support in the future. 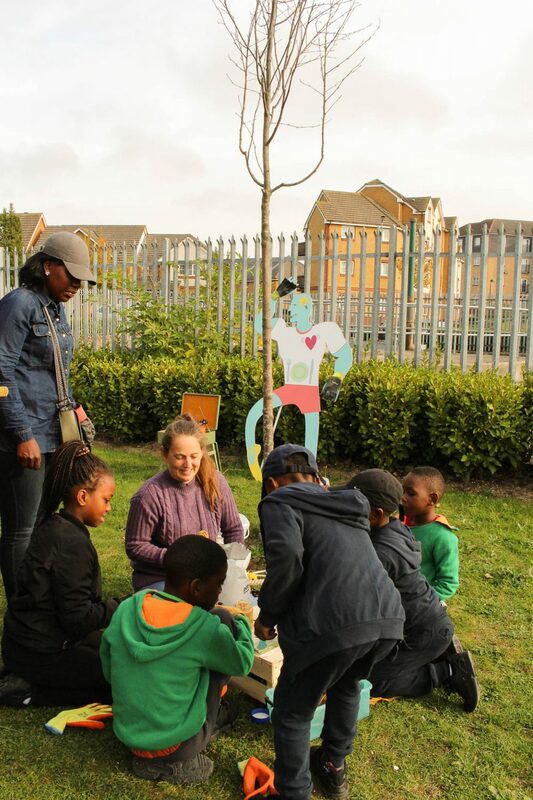 DEFINE: Bringing together the people who are already getting things done, we set out to develop a shared understanding of what the HNT aims might mean for Barking Riverside. 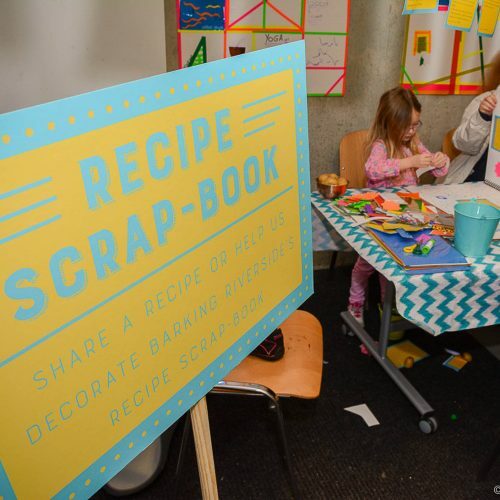 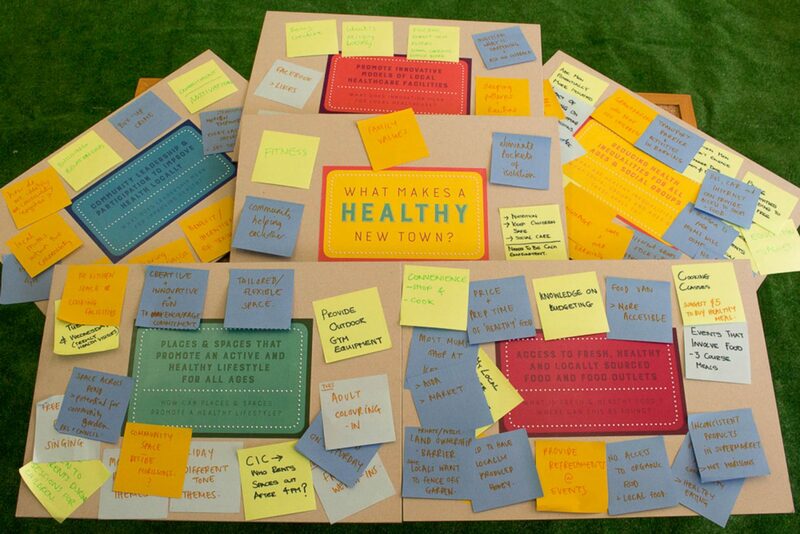 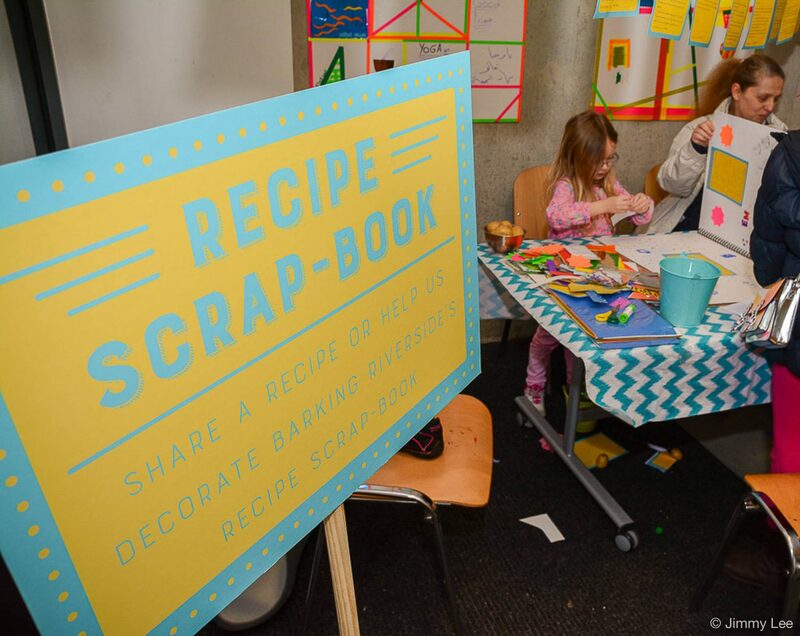 GATHER: With a ‘pop up’ methodology, using fun and curious props we started conversations about the types of activities that would align with Healthy New Town aims. 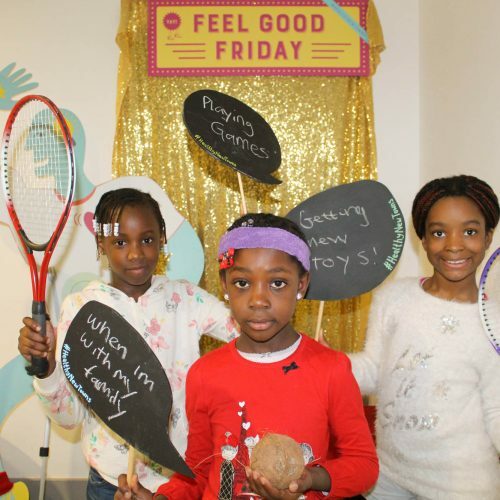 In order to be more holistic, and to avoid the more alienating or judgemental associations around being ‘healthy’ we chose to frame our questions around feeling good. 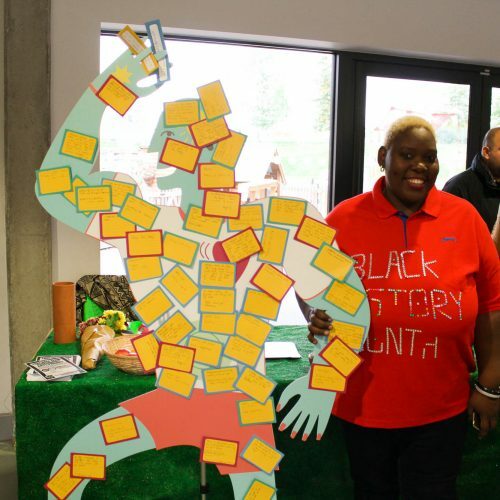 We created a friendly and humorous engagement prop in the form of our ‘Healthy Human’ and asked people to locate their feedback on the part of the body that it related to. 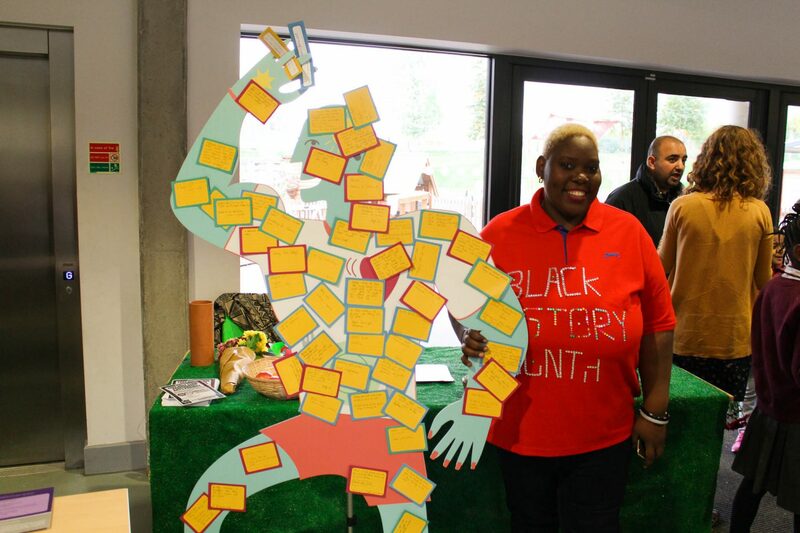 We attended a Black History month event, Primary and secondary school assemblies, a local community garden and craft workshop as well as local shops and health centres. 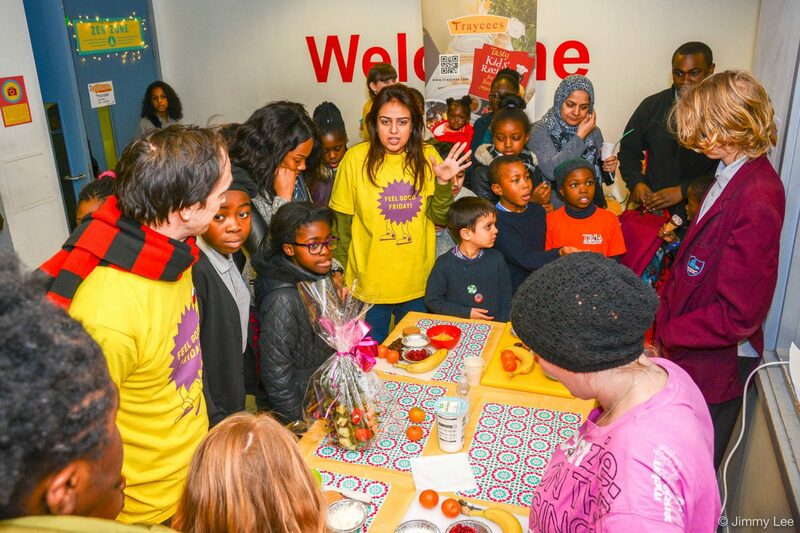 TEST: With an understanding of local resources, skill and interest and what things are missing, these test events and activities would allow wider local reach, and would begin the discussion of what ideas work, which do not and why. 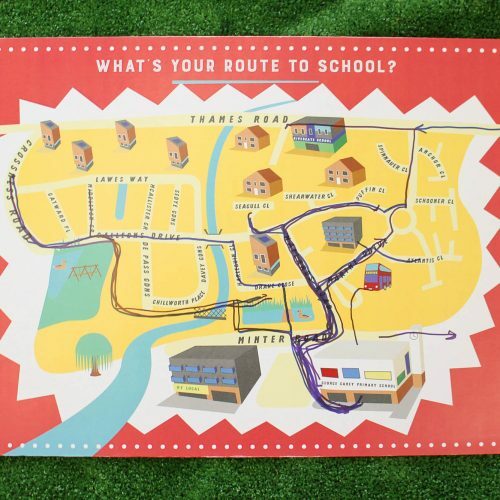 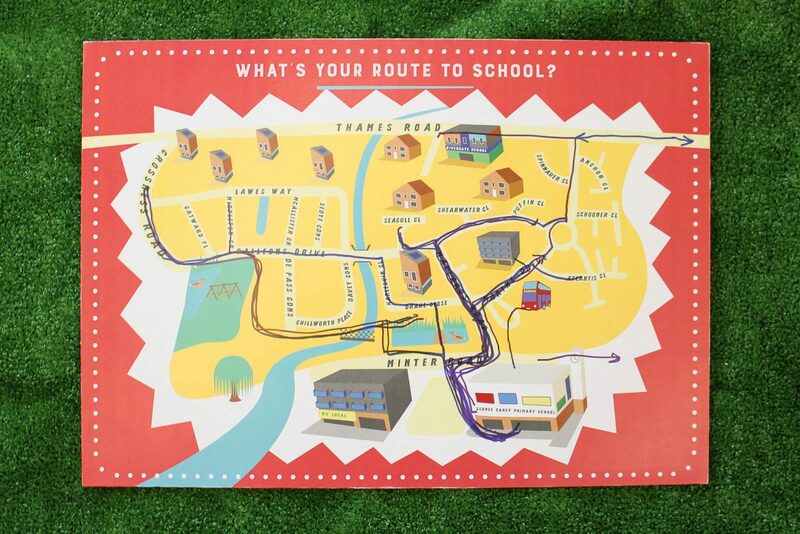 Mini tests included: a smoothie bike trial at the primary school and a series of instructional posters animating the walk home from school. 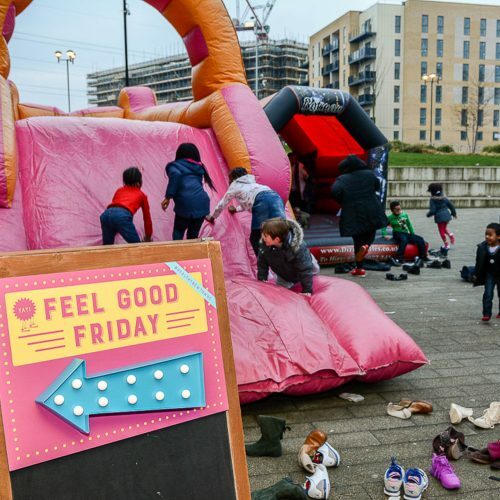 Our major test event was Feel Good Friday. 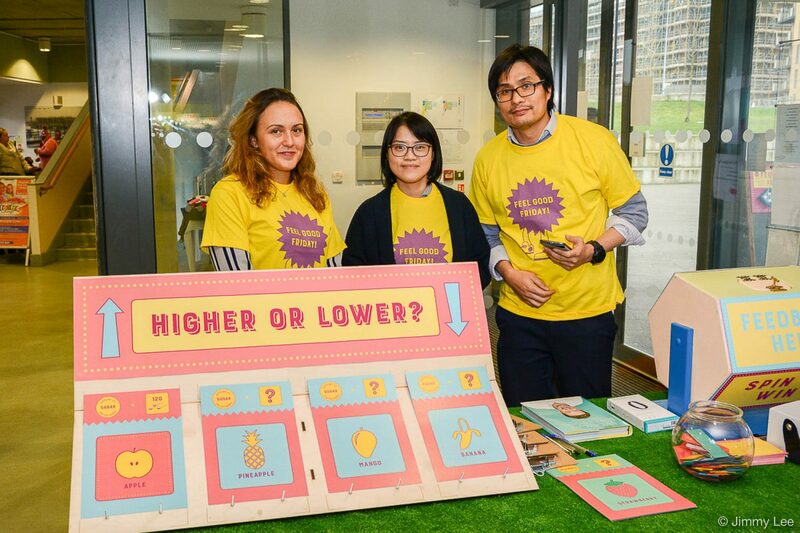 It was important to us that this event was an opportunity to celebrated and support local practitioners, trialling ideas and allowing us to get further meaningful feedback. 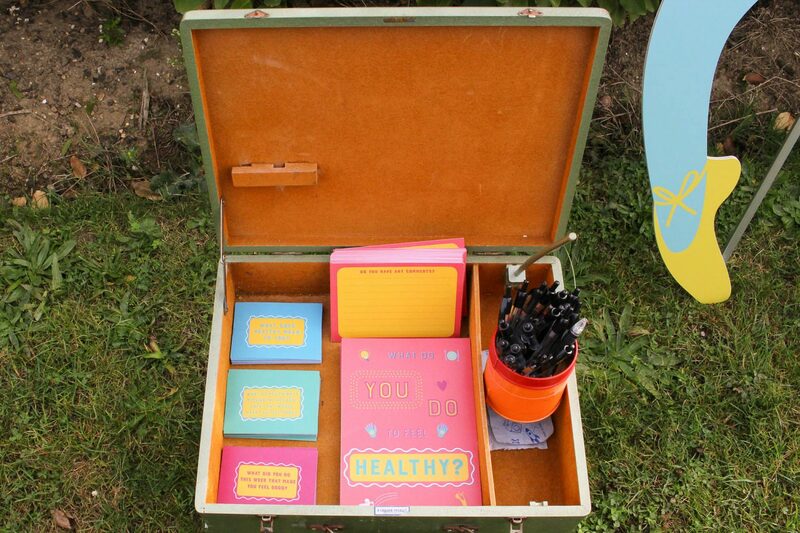 REFLECT & SHARE: Analyse and distribute findings in a report and showcase to relevant stakeholders.